Willingway is a proud sponsor of Steve Pulley's "Ride 4 Recovery." 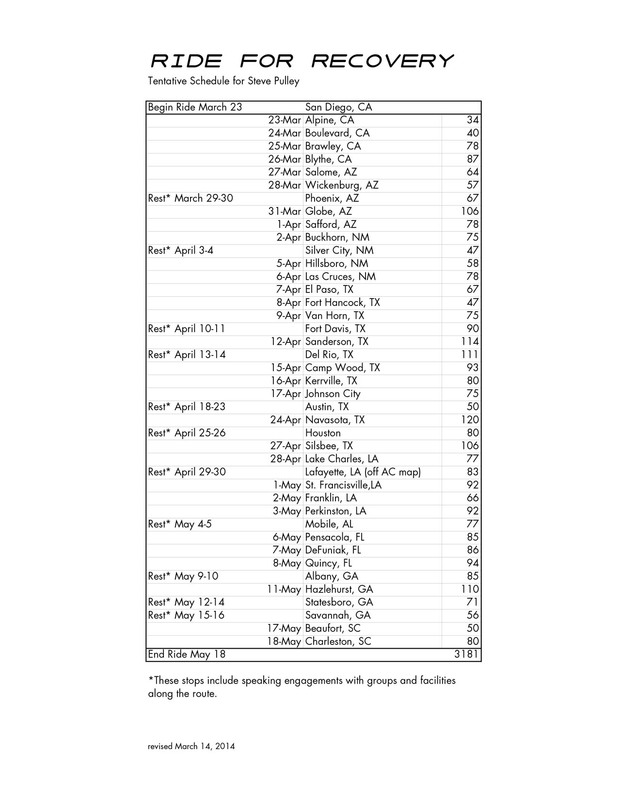 His bicycle ride across America to raise awareness for addiction recovery began March 23rd from California. Raising awareness, hope and reducing the stigma of addiction - one city at a time. Georgia Southern University alumni Steve Pulley is in long term recovery from addiction and he wants to change the world, one city at time. Pulley kicked off the nationwide bike ride on March 23rd in San Diego, California. The 23rd of March is a special day for Steve, not only did he kick off the ride of his life, but also marks six years sober! Steve hopes to not only raise awareness about recovery from addiction but also encourage others still struggling with the disease to seek help and realize that there is hope in recovery. Pulley is planning various stops along the way to share his story, hopefully changing the face of addiction and encouraging others to reach out for help. After battling addiction for years, Steve found sobriety and started piecing his life back together. After getting sober in Statesboro, Georgia at Louie's Recovery Halfway House, he enrolled in Georgia Southern University also in Statesboro, Georgia. He found support and help at the university's Center for Addiction Recovery which is a CRC or Collegiate Recovery Community. The support was helpful and Steve graduated with honors. He is planning to start physical therapy school in May of 2014 at the Medical University of South Carolina. He is raising money to support the Center for Addiction Recovery or C.A.R., for short, at Georgia Southern University through the Willingway Foundation. The Willingway Foundation was the main funding body for the start of C.A.R. in 2008. 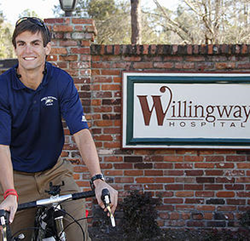 Both Willingway and The Willingway Foundation in Statesboro, Georgia are proud sponsors of the Ride 4 Recovery. More information can be found at Steve's website, http://www.ride4recovery.org.